Only 11 days from the presidential election, FBI Director James Comey has decided to investigate new emails from when Hillary Clinton was secretary of state. The FBI has already determined that Clinton held classified information on a private email server. The FBI told Congress their plan to investigate these new emails to clarify that their investigation was not complete, “we do not ordinarily tell Congress about ongoing investigations,” Comey said. Hillary Clinton has asked for “full and complete facts immediately” from the FBI while Republican presidential candidate Donald Trump praised the investigation. Des Moines police charged 55-year-old Terri Rote with first-degree election misconduct after she submitted two absentee ballots. Rote is a registered Republican that voted twice for Republican presidential candidate Donald Trump. Rote said in an interview with a radio station, “I wasn’t planning on doing it twice, it was spur of the moment” and repeated a line from the Trump campaign, “The polls are rigged.” “People aren’t voting more than once. And if they do, or attempt to do it, they will get caught because there are safeguards in place,” Polk County Attorney John Sarcone said. The Lithuanian government issued a 75-page manual to its citizens on Friday with instructions for what to do if Russia invades. This is the third manual the Lithuanian government has released since the Russia annexation of Crimea. 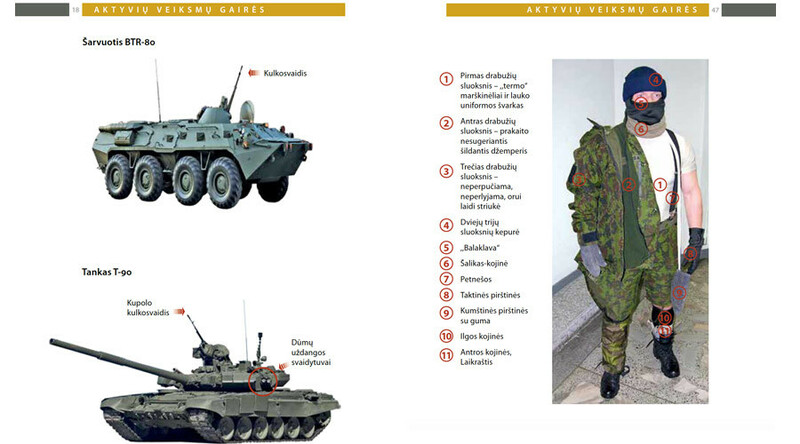 The latest edition has images of Russian-made tanks, guns and grenades as well as details for how Lithuanians should spy on the Russian military if they occupy the country. “It is precisely to send a message to Russia-don’t do it-we are ready and will not be hoodwinked like Ukrainians,” Karolis Aleksa from the Lithuanian Ministry of Defense and editor of the manual said.